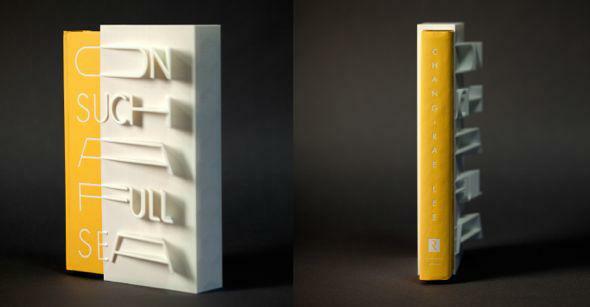 The world's first 3-D book cover: On Such a Full Sea by Chang-Rae Lee. 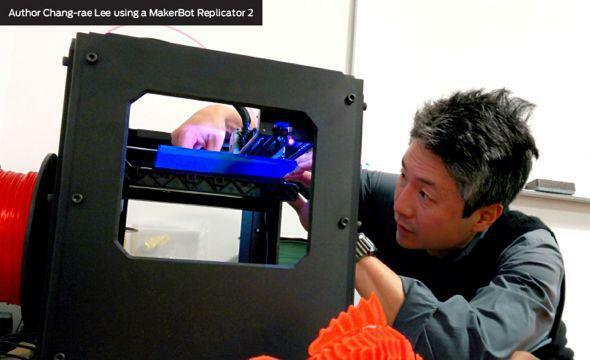 The world’s first 3-D printed book cover is a novel by Chang-Rae Lee. There is a lot of talk in design and publishing circles these days about the objectification of the book in a time when words no longer need be contained in discrete physical packages and screen-based reading is becoming the norm. Authors, designers, and publishers hope that a heightened attention to form will encourage people to buy, hold, display, and keep books on the shelves in a world where making books from dead trees is a dying art. It remains to be seen whether 3-D book covers will become commonplace or remain a rarefied exercise in style. But it’s notable that the first 3-D book cover is the casing for a novel, not a coffee table book, and one in which the design is used as an extension of the flat typography on the cover of the book, used to bring a third dimension to the written word.